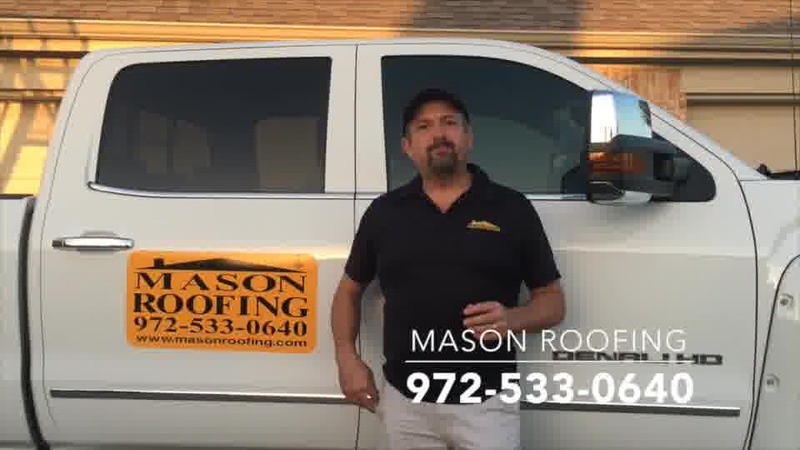 Do you have hail storm roof damage in Flower Mound that needs repair, and now you’re wondering who to call? The answer is Siimpler Roofing. If you’re looking for roofing companies Flower Mound, look no further. We would love to give you a free expert estimate on your roof damage with no obligation on your part. We can also take care of all your other hail damage repairs - like windows, screens, siding, etc., with excellence and the highest quality. Any time a storm comes through and bombards us with hail, you can count on roofs getting damaged - and sometimes it’s more than roofs. Extremely large hail stones have even been known to go completely through a roof! So don’t panic if your screens are ripped up, or your siding is damaged, or other property is beat up and you don’t know what to do - Siimpler Roofing can take care of it all for you. The answer to that question is yes! If you have good homeowners insurance, it’s very likely that it will cover a hail damaged roof. Siimpler Roofing works hand in hand with every major insurance company, and can often get your roof repaired or replaced with very little out-of-pocket expenses; sometimes even none!